“I’m a hate figure for a certain kind of half-educated politically correct person”. 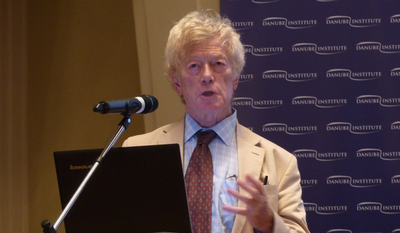 Yet another ludicrous defense of Roger Scruton’s bigotry which doesn’t even bother to engage with his remarks about Muslim ‘tribes’ invading Europe. No mention of it. The bad faith and dishonesty, as ever, of the conservative movement on full display here.